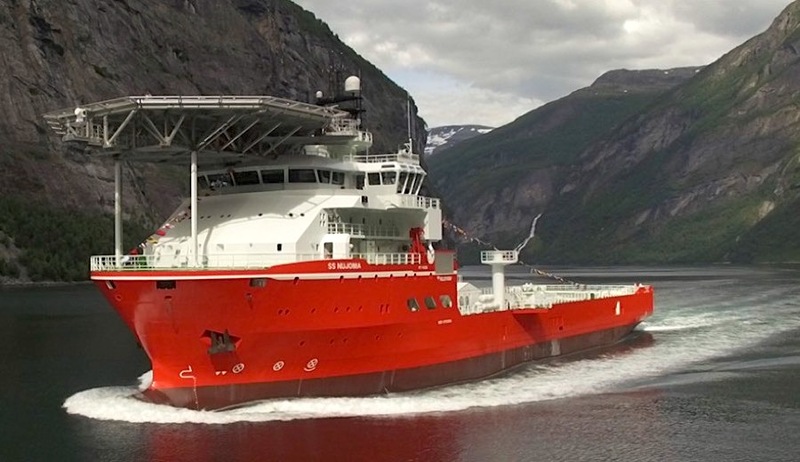 De Beers, the world's No.1 diamond miner by value, unveiled Thursday the world's largest diamond exploration vessel, which will search for the coveted stones on the seabed off the coast of Namibia. The $157 million vessel will enable Debmarine Namibia, a 50/50 joint venture between the government of the African country and De Beers, to explore diamond deposits and secure diamond supply in the country well into the future, the Anglo American unit said in a statement. The 12,000-tonne, 113-metre-long mv SS Nujoma ship, named after Sam Nujoma, Namibia's founding president, is equipped with sonar technology and a drilling device that can probe the ocean floor and take samples more quickly and efficiently than previous vessels. De Beers is currently the only company in the world that mines diamonds from the seabed, and it does it off the coast of Namibia. Built in Norway, the large vessel can accommodate a crew of 80 and has a helicopter deck suitable for Sikorsky S61s. It’s the sixth diamond exploration vessel to join Debmarine Namibia's fleet. "The mv SS Nujoma represents the largest ever capital investment in underwater diamond mining and will ensure a long-term, sustainable future for offshore diamond mining in Namibia," the country’s Minister of Mines and Energy, Obeth Kandjoze, said in the statement. De Beers is currently the only company in the world that mines diamonds from the seabed. Its undersea operations, at a depth around 120 to 140 metres, are only carried out in Namibia, where it has a licence to operate until at least 2035. “Offshore diamond mining is becoming increasingly important in meeting global demand for diamonds as many of the major onshore deposits have now been discovered,” Bruce Cleaver, the company’s chief executive, said. Through De Beers, Anglo American counts on diamonds for a big chunk of its revenue. The company has repeatedly said the precious stones are central to its portfolio of assets, as they tend to hold value when the price of other commodities drops. Diamonds are also key to Namibia as they account for about 20% of its foreign export earnings. The country gets 80 cents of every Namibian dollar generated by its joint venture with De Beers, which is equivalent to more than N$10 billion in revenue a year.